We start this book in Manhattan NY. This is where Melody works as an Ad Executive and is dating Jean-Claude and top-tier photographer. She thinks she has it all and is on her way to meet her boss to score a promotion to Creative Director...but in one short meeting Melody losses it all. Fired and homeless, Melody doesn't know what to do, until Hometown mayor and a member of the family hers has been feuding with, come to save her. But Luke Nelson also need her to save their town, so they join forces, but also stir up a hornets nest to go along with their mutual attraction. This was a good book. Personally I found Melody too strong of a character and Luke a little weak, but other than that it was an enjoyable book. The feuding families gave me a big giggle. The book was well written and even paced. 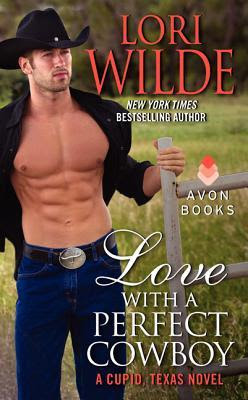 Love with the Perfect Cowboy earns 7 out of 10 from me.